The foundation of all dimensions is traction. Traction in terms of senses & sensibility. What I mean by that is the more all senses are immersed (individually) in the tasks at hand AND these is a sensibility of being connected with a likeminded tribe (group) the more likely meaningfulness is attained. That said. Every business should be thinking about connection, immersion and why it’s difficult for us to find the connection & immersion. We begin with one word: traction. The world is increasingly noisy, increasingly task oriented with an increasing list of things to do within the same finite amount of time we have always had. All of this encourages us to skate along the superficial surface of things, i.e., never really gain any true traction. Lack of traction inevitably creates a sense of numbness which translates into stress because of lack of connection. Many people attribute ‘numbness’ to senses being overwhelmed by the sheer amount of communications and interactions demanded upon us every day. To be clear. Ever since the ‘white collar job’ was created we have been stressed out by over communication and an inordinate pressure on efficiency. Whether it was the stacks of paper <memos, point of views, letters, reports, presentations, phone messages to be returned, etc.> in the good ole days or today’s hundreds of emails appearing in your inbox our attention has always been challenged. In 1955, the Hoover Commission peeked inside the files of three major corporations. It discovered, respectively, 34 thousand, 56 thousand, and 64 thousand documents and memos on file for each employee on the payroll. Nor could the mushrooming informational needs of industrial societies be met in writing alone. Thus the telephone and telegraph were invented which increased the ever swelling communications load. By 1960 Americans were placing some 256 million phone calls per day — over 93 billion a year – and even the most advanced telephone systems and networks in the world were often over loaded. All these were essentially systems for delivering messages from one sender to one receiver at a time. Employee Disengagement at work: 85% of employees are not engaged or actively disengaged & do not find meaning in their work. Our goal here today isn’t to solve work meaningfulness only to establish the fact employees, for the most part of every working day, are numb. We would also suggest this numbness is partially driven by the fact it is difficult to find traction points for people to engage therefore they simply speed along doing things in a relatively superficial (in terms of depth of personal & tribe/group engagement). All are attempts to create some focus, moments of traction, so we can engage with the most important things. while most of these initiative were created with the overall intent to maximize efficient productivity the real intent was driven aby a business fear as employees skated the slippery surface of urgent irrelevant engagement employees would not immerse themselves in the most important things. It was Eisenhower who once said: ‘The most urgent decisions are rarely the most important ones’. Deciphering the urgent from the non-urgent and the important from the unimportant is important because misreading any of these things may create haste at the wrong time and waste energy & focus all of which simply drives us deeper into numbness. Mostly with good intentions businesses and Life coaches have gone through extensive efforts to create traction points and methodologies to force is to connect at the right times on the right things. Unfortunately, most of these things do not engage with the senses but are rather simply achievement based tactics. Achievements create a false sense of immersion (how could we not have been successful if we hadn’t been fully engaged) as well as a false sense of being part of a tribe (these are mostly individual based tactics from which we derive “we” achievement accolades). False may sound harsh so let’s just say forced engagement does drive a deeper engagement, thru increased awareness, but not a particularly deep immersion engagement. In our minds this is hollow traction. All traction is focused on achievement not the efforts within what is invested to achieve. Forced engagement creates traction at a functional level. It most typically encourages focus on productivity & achievement, efficiency based dimensions, than meaningfulness or mental engagement (beyond getting things done). 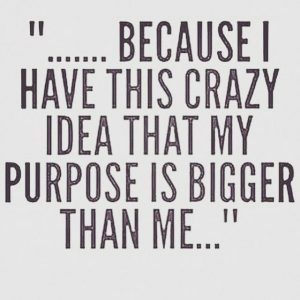 People, and businesses, recognize Life & work often takes on aspects of ‘grind’ (doing), therefore, actively seek paths to being more connected with Life and more immersed in what is happening. Mindfulness is inherently an “I” connection/immersion activity. The idea is to find ways to become more present in the now seeking to find traction points to engage in what can seem like a swirling chaos of blurred activity. Philosophically this traction is an attempt to find some vividness & distinction in what is just a gray blur mental world. Both of these paths offer positive benefits to people. Mindfulness encourages people to better engage in moments. Corporate events encourage people to understand they are not ‘in it’ alone and permit better connection with likeminded people. In and of themselves, they are quite useful in creating connection & immersion traction to self & tribes. But there is another level. Eckhardt Tolle suggests this is living in the present. We partially agree. Most people understand you the business word and Life, pragmatically, does not permit someone to be wholly engaged in every single moment. It is mentally and physically exhausting and practically speaking, not the most efficient nor effective ay to get things done. However. 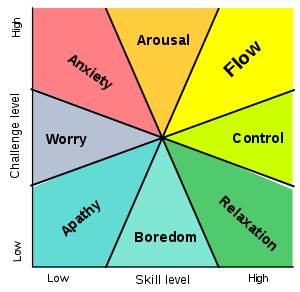 Research shows that engaging in what Mihaly Csikszentmihalyi called “flow” moments do create overall lift in how you engage with Life. We could see something like a NASA space trip as the highest order of connected immersion: all senses are engaged and you are part of a smaller tribe of people (everyday person version of astronauts). Driving a high end car is similar: all senses are engaged and you are part of a smaller tribe of people (people who ‘get’ why that particular car experience cannot be substituted + everyday person version of professional drivers). We would argue seeking immersion and connection is vital to a fuller Life, but, pragmatically, being immersed & connected, even in discrete moments, reflects potential. 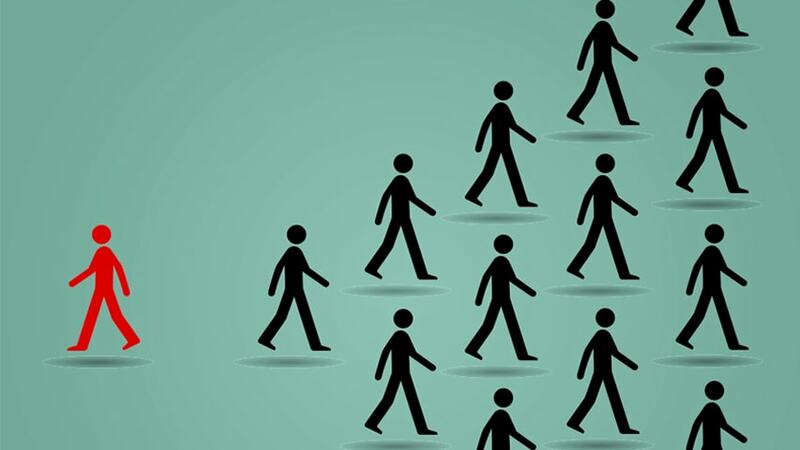 An employee who feels connected with a tribe is more open to collaboration, teamwork & more focused on greater good objectives than the more simplistic individual reward. To be successful as an organization a business has to embrace, at least partially, what Gustavo Razzetti says “jobs are not functional.” Organizations ask employees to do things, but should be seeking to have them want to do things. Therefore, we believe it is incumbent for an employer to find traction experiences from which employees/workers can at least get a sense of deeper immersion and connection. 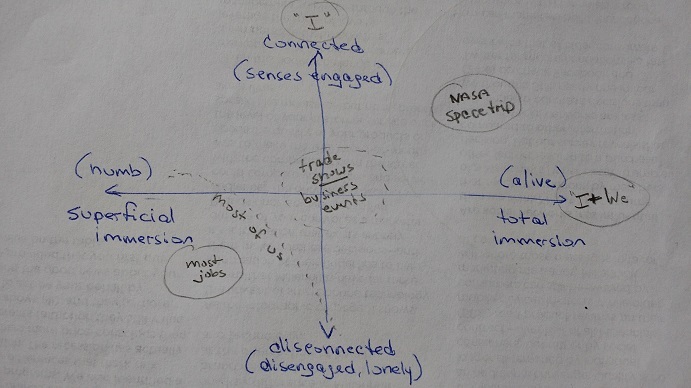 To us, the grid we offered upfront is simply the connected/immersion version of the Eisenhower matrix. 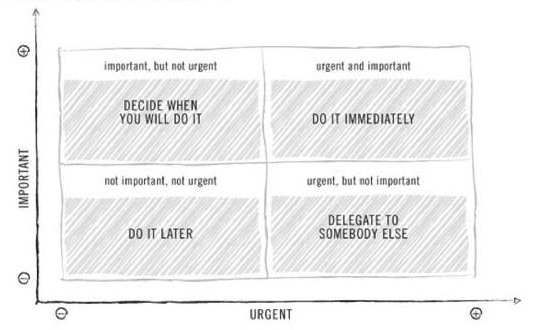 You should use our matrix to assess worker experiences always seek to find moments in which to offer a traction experience in the upper right hand quadrant. Yes. Even a moment is important. Why? If you do nothing, the mind will remain numb. If you do company events like town halls & Friday fun days, the mind will relax but not really connect and definitely will not be immersed. If you do send employees to Trade Shows or do create larger off-site corporate events, the mind engages with not only new ideas which stretch current thinking, the senses do engage to a certain level and the connection with some aspect of a tribe (likeminded people) creates a dimension of immersion about ‘numb’ but maybe not as high as fully immersed. To be sure, the truth is you can’t send everyone up into space but you can send people to trade shows, you can have events at TopGolf and you can have events at places like the Porsche Driving Experience. We believe once a person connects with what it is like to be engaged and a business creates an environment for which those moments can be replicated, not only will employees be more engaged but productivity will increase.